Democrats Socialists holds first-ever Rust Belt Conference in Pittsburgh this past weekend, while DNC Chairman Tom Perez says he’s seeing excitement everywhere while in PA. Here is the Playbook! Pa is a focus for emergent leftists after DSA-backed candidates won primaries in May. The PAGOP ‘welcomed’ them to town. Sabato’s Crystal shifts PA7 & PA17’s rating in Democrats favor. Koch-backed group throws support for Scott Wagner. The National Anthem debate is back. Here are the Ups and Downs for the week. 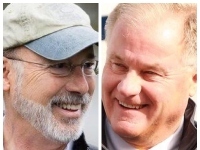 Larry Sabato’s Crystal Ball changes the ratings for two races in the Pennsylvania Democrats favor, while Wagner is set to receive some help from a Koch-backed conservative group. Happy Friday politicos. Here is the Playbook! The newly drawn map makes these districts within reach for Democrats. 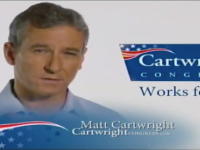 Rep. Matt Cartwright blasts GOP challenger John Chrin on residency and social security, while Rep. Scott Perry writes an op-ed explaining his effort to impeach Rod Rosenstein. Here is the Playbook! It paints Chrin as an out of towner who wants to cut senior benefits. Wagner stands firm on his pro-life stance, while Gov. 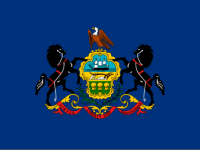 Wolf believes that Pennsylvania isn’t “ready for” legalizing marijuana for recreational use. Here is the Playbook!